Earlier this year, we conducted a comprehensive survey of our Mark Holders and other key stakeholders, to help shape the future direction of Social Enterprise Mark CIC and our growing portfolio of accreditation services. Many thanks to all those who took the time to participate in the survey. We have now analysed the responses and are excited to share this summary report, which highlights the key findings from the survey and illustrates the impact that we have on the social enterprise sector. 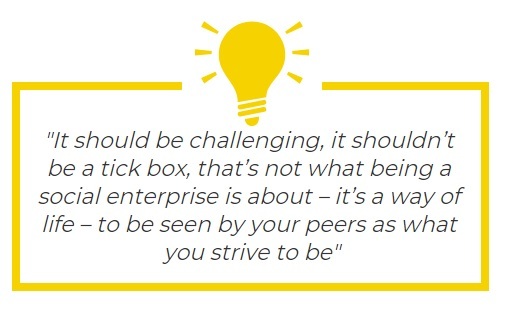 As a customer-focussed organisation, the feedback received is invaluable in helping us to develop robust and credible standards that meet the evolving needs of the expanding social enterprise sector. We will now use the findings to inform our strategic direction and future development of our services. If you have any comments or questions please don’t hesitate to get in touch. 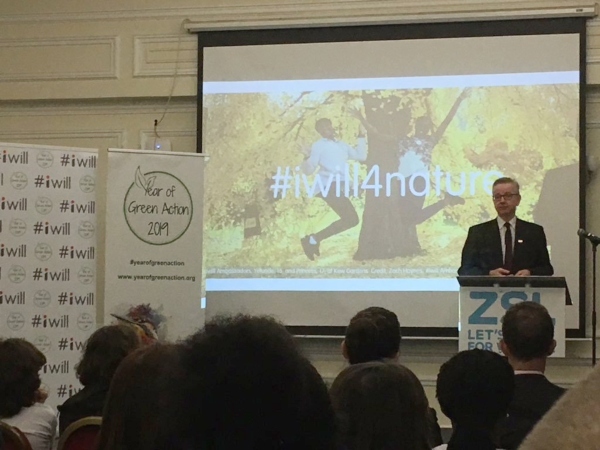 Environment Secretary Michael Gove MP has welcomed a group of Ambassadors, who have pledged to champion and promote the Year of Green Action; a year-long drive to help everyone get involved in projects that support nature. The Ambassadors include UN Patron of the Oceans and endurance swimmer Lewis Pugh, environmentalist David de Rothschild, TV presenter Jan Leeming, and our own Lucy Findlay. “The natural world is our greatest asset and we all have a responsibility and role to play in protecting it for generations to come. The Year of Green Action is a year-long initiative to get more people from all backgrounds involved in projects to improve the environment. It provides a focal point for organisations, individuals, communities and businesses to learn more about their environmental impact, take action to reduce it, and spread the word on environmental issues. 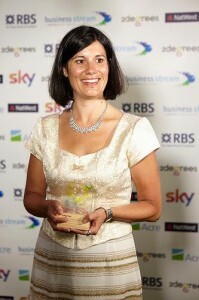 Lucy Findlay MBE, Founder of Social Enterprise Mark CIC. “I have been swimming for 32 years and over that period of time, I’ve seen our oceans change completely. That’s why I am delighted to support the Year of Green Action and help share the importance of protecting our oceans and tackling plastic pollution. As we enter our tenth year of providing clear and credible standards for the social enterprise sector, we are conducting a comprehensive stakeholder survey, to ensure our services address the evolving needs of the growing sector. As a customer-focused organisation, we greatly value the input of our accredited social enterprises, partners, and other stakeholders, to inform the future development of our services. 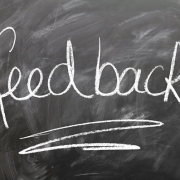 Therefore, we would greatly appreciate you sparing some time to complete the survey, to provide feedback on your experience of the services we provide, and to have your say on the future direction of Social Enterprise Mark CIC and our accreditation services. As a thank you for your time, we will enter you into a prize draw* for the chance to win a free introductory Social Impact Consultation with award-winning social enterprise specialist Heidi Fisher. *The winner will be drawn at random from all complete survey responses after the survey closes on 15th March 2019. 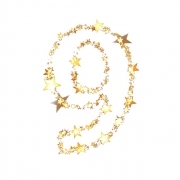 Today (1st February) marks nine years since the national launch of the Social Enterprise Mark. 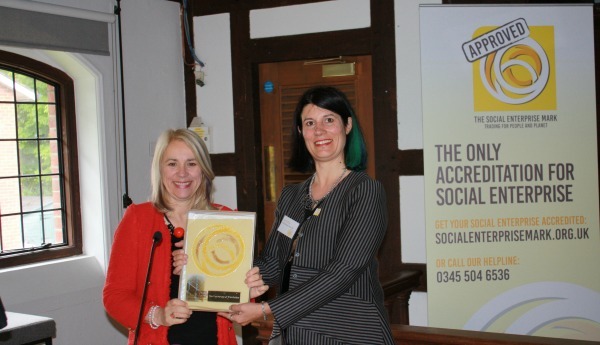 We are proud of how far we have come since then – from what was a regional, funded project we now provide the only internationally available social enterprise accreditation. To mark this anniversary, we have created the below timeline, which highlights the key stages in our journey so far. 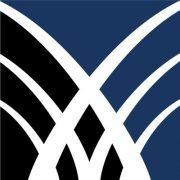 We are currently seeking new board members to help move the business forward and support the introduction of new services and growth in new markets. The commercially focused board meetings are currently held in Plymouth every 3 months; whilst there is no financial remuneration for the role, expenses can be reimbursed if necessary. It is important that each board member has time and capacity to keep up with issues and input as necessary between board meetings. Board members are appointed for a 3-year period with an option of a further 3-year extension. Click here to view profiles of the existing board members. The current Chair is due to retire within 24 months and we are particularly keen to meet people who may be interested in the role of Chair when the position becomes available. For more information or to apply, please contact Ian Middleton. 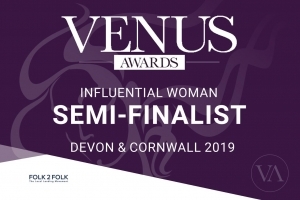 Last week, Plymouth Gin hosted 100 applicants, guests and sponsors at their venue, for the announcement of the names of those progressing to the Semi-Finalist stage of the 2019 Devon & Cornwall Venus Awards. 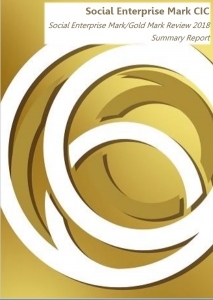 The eighty five successful Semi-Finalists will now go through to the next stage of the judging process, and the finalists will be announced on 8th February. The Awards will culminate in a glamorous Ceremony and Gala Dinner on 29th March. Lucy Findlay, Managing Director of Social Enterprise Mark CIC was shortlisted in the Influential Woman of the Year category, along with Dr Emily Beaumont of Social Enterprise Mark holder Plymouth Marjon University. 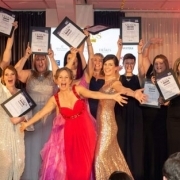 The Venus Awards – dubbed by Channel 4 as “The Working Women’s Oscars” – celebrate the vital contribution that women in business make to the local, regional and national economy, and are unique in that anyone can nominate a friend, client or family member. 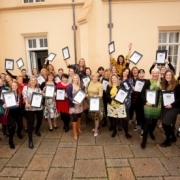 To provide extra help for our nominees and other working women, the Venus movement has recently launched The Venus Business School, an exciting new initiative offering invaluable support for female entrepreneurs and working women in the areas of confidence, communication, leadership and stress/time management. 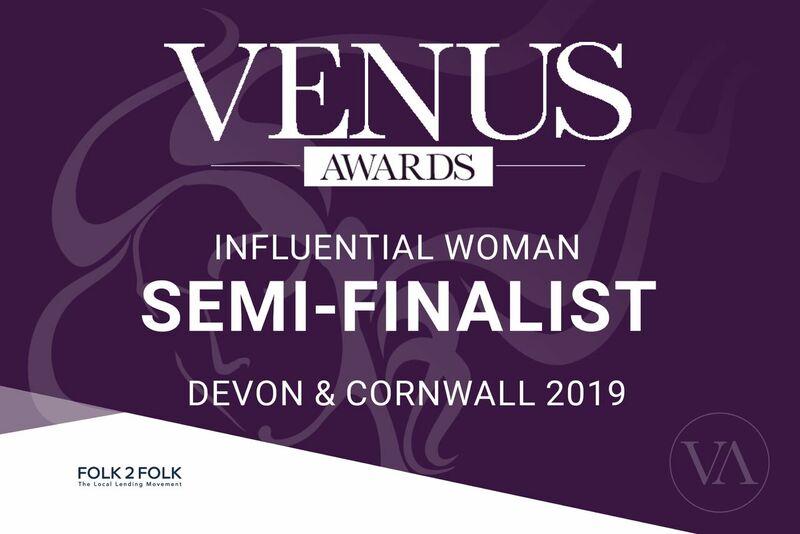 Venus Awards Devon & Cornwall is now in its 6th year, and the response remains consistently strong with more than 1,100 nominations and 340 applications. 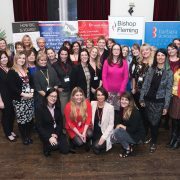 The Devon & Cornwall participants are competing in 15 categories, including Woman in Property/Construction, Small Business of the Year, Inspirational Woman in STEMM and Business Mother of the Year. This year’s Charity Sponsors are the Devon Air Ambulance and Cornwall Air Ambulance The aim of Devon Air Ambulance is to help save ordinary people in extraordinary circumstances: parents, partners, children. Nobody chooses to have an emergency, but thanks to the crucial support of the Devon community, they can be there when it matters most. Cornwall Air Ambulance flies more than 700 missions every year bringing vital emergency medical treatment in minutes to patients across Cornwall and the Isles of Scilly. It does not receive any government support for these missions and relies on the generosity of its supporters. As we start a new year, there are undoubtedly both challenges and opportunities ahead for social enterprises. Whatever the next 12 months brings for the UK economy, it is likely to be influenced by factors beyond your control. What you can control is how you respond. In an atmosphere of confusion and doubt, the ability to communicate clearly will help you to stand out. 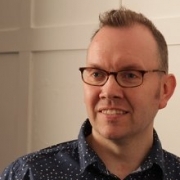 Jonathan Alder of brand agency Alder and Alder has created a free brand preview for social enterprises, which shares insights into the factors that will be most influential in helping you to do that. The aim is to help you communicate more efficiently and more effectively, by focusing on what’s most important. The preview takes a look at the year ahead and explores the key brand issues that social enterprises need to consider, and suggestions for how to respond to these. 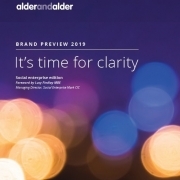 Click here to download the Brand Preview 2019. We are delighted to announce that our Managing Director Lucy Findlay has been awarded an MBE in the New Year Honours list for ‘services to social enterprise’. Lucy founded Social Enterprise Mark CIC in 2010 and over the last ten years has developed the Social Enterprise Mark from a regional funded project to an internationally available accreditation, which provides, for the first time, a clear standard and definition for the very broad social enterprise sector. She has played a major role in the development of the UK social enterprise sector over the past two decades and is thrilled to have received this recognition of her work. “It’s a real honour to have this personal recognition and endorsement for my work in social enterprise” says Lucy Findlay. “I haven’t done it alone though. I would like to pay tribute to all my colleagues and friends who have stood by me and supported me over the years through both the highs and the lows of running a social enterprise. An MBE (Member of the Most Excellent Order of the British Empire) is awarded by Her Majesty the Queen after an individual is nominated for their outstanding achievement or service to the community. An independent Honours Committee reviews the nomination application and makes the final award decision. Here we are again, fast approaching the end of another year… before everyone logs off, we wanted to take the opportunity to wish you all a very Merry Christmas and a Happy New Year! Please note that our office will be closed for the Christmas break from lunchtime on Friday 21st December until 08:30am on Wednesday 2nd January. We will respond to all messages as soon as possible on our return. We hope you all enjoy a peaceful break over the festive period. Many thanks for your support this year, we look forward to continuing to work with you in 2019. 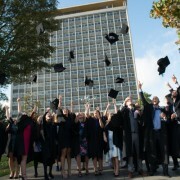 We are proud to accredit a number of UK universities as social enterprises, which are committed to enhancing the social, cultural and environmental wellbeing of their communities, society and the world around them. 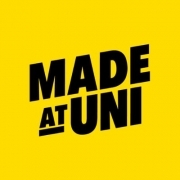 We recognise the important contribution that universities can make to people, lives and communities across the UK, and therefore welcome the launch of the MadeAtUni campaign today, which celebrates the significant role that universities play in everyone’s day-to-day life. 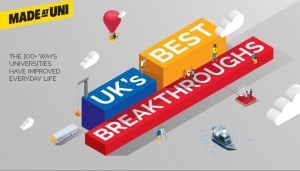 For the launch, Universities UK has compiled the UK’s Best Breakthroughs List, which highlights 100 examples of universities are improving lives and enriching our world. 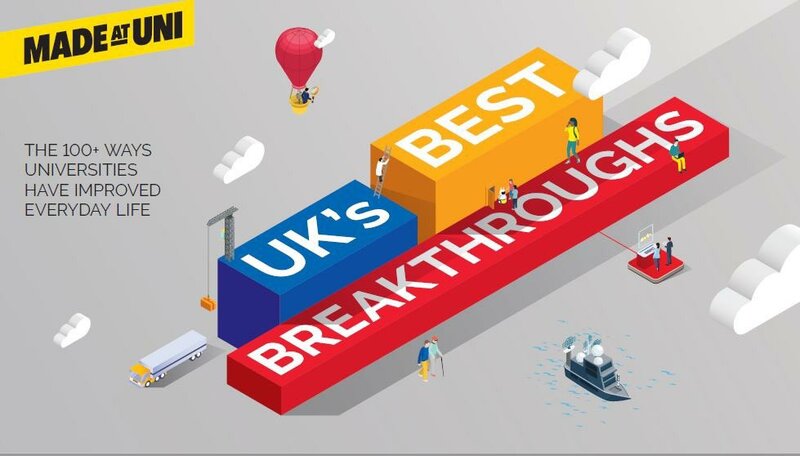 From pioneering health discoveries and technological innovations to environmental initiatives, community projects and contributions to art, culture and sport, the list brings to life the many ways universities are improving our everyday lives. To find out more about how universities are offering solutions to local, regional and global challenges, visit the MadeAtUni website. 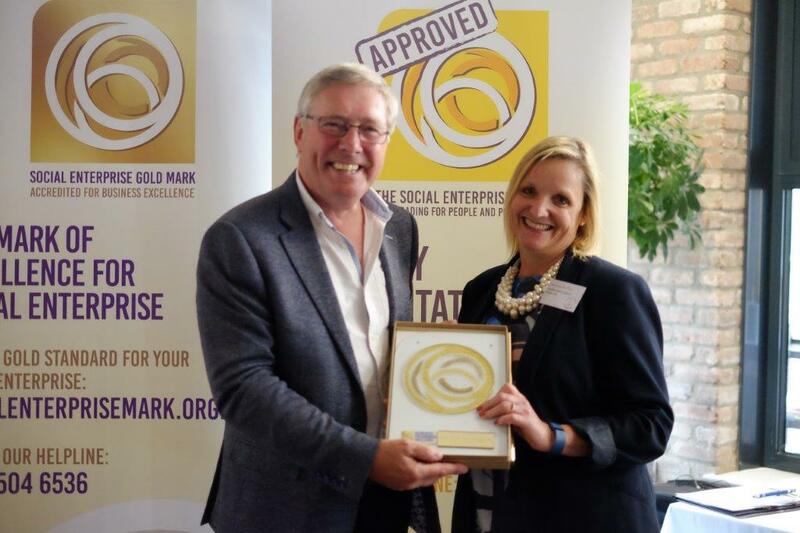 In response to feedback from our network of accredited social enterprises, we have reviewed the fee structure for the Social Enterprise Gold Mark, with a view to reducing potential barriers to Social Enterprise Mark holders (and new applicants) in achieving this standard of social enterprise excellence. 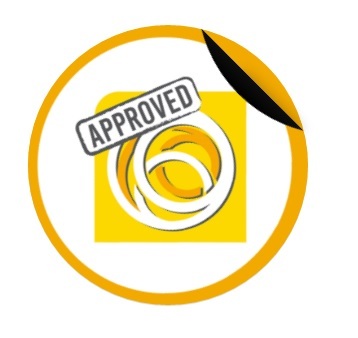 Through consultation with our Mark holders, we are aware that the existing fees for the enhanced accreditation of the Gold Mark can represent a considerable obstacle for some smaller social enterprises, many of which would likely meet the criteria and pass the assessment. We have therefore worked to address this issue and are pleased to announce a reduction in the annual licence fee for the lower fee tiers (up to £15m turnover), in order to support small to medium social enterprises to continue on the pathway to social enterprise excellence. 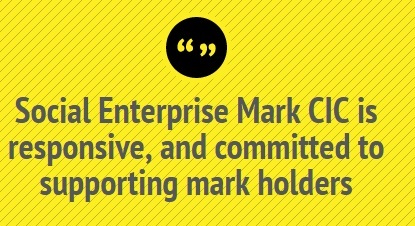 The Social Enterprise Gold Mark is a business development tool, which sets benchmarks and an action plan for continuous improvement, in line with best practice guidelines. “I thought that the whole process was really constructive and we learnt a great deal about our organisation through compiling the application. 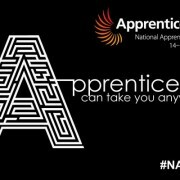 Richard was very supportive and helpful and made the whole process a positive experience” said Caroline Barfoot, Head of Employability & Student Enterprise of Solent University, which achieved the Gold Mark earlier this year. 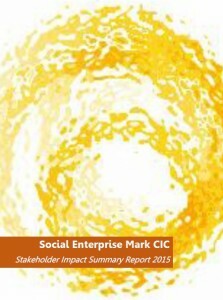 Social Enterprise Mark CIC exists to recognise and build the capabilities of social enterprises as competitive, sustainable businesses, which are dedicated to maximising social impact. 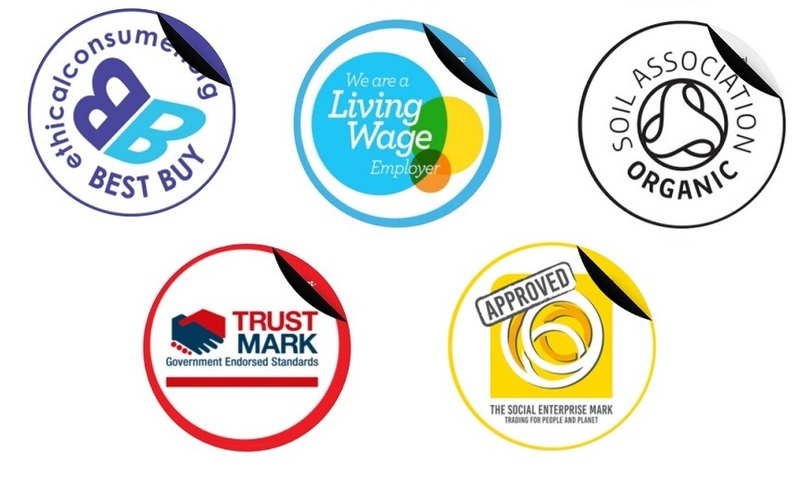 Through our unique independently-assessed accreditations, we provide clear and credible standards for the social enterprise sector, which define what it means be a social enterprise. Through revising the fees for the Social Enterprise Gold Mark, we aim to open up this quality mark to a broader range of social enterprises and encourage more social enterprises to commit to continuous improvement in their business practices. Click here to view the new fees. Please don’t hesitate to get in touch with any questions, or if you are interested in applying for the Social Enterprise Gold Mark. 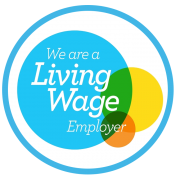 As an accredited Living Wage Employer, we are proud to support Living Wage Week (5th – 11th November), a UK-wide celebration of the campaign for a real Living Wage that meets the cost of living and the network of Living Wage employers. The UK Living Wage rate has increased by 25p to £9, with the London Living Wage rising by 35p an hour to £10.55 an hour. The Living Wage rates are the only rates independently calculated based on what people need to live in the UK and London. The 2018 increases have been largely driven by higher transport costs, private rents and council tax feeding through to the basket of goods and services that underpin the rates. Tess Lanning, Director of the Living Wage Foundation said: “The Living Wage campaign is about tackling the rising problem of people paid less than they need to live. Responsible businesses know that the government minimum is not enough to live on, and today’s new Living Wage rates will provide a boost for hundreds of thousands of workers throughout the UK. For more information about Living Wage Week go to http://www.livingwage.org.uk/living-wage-week. The below video explains how you can become an accredited Living Wage Employer. The Secretary of State for Work and Pensions, Esther McVey, has today announced increased funding and other measures to support businesses that provide extra employment support for disabled people with the greatest barriers to work. In parallel, the government will also work with the Supported Business Alliance (SBA) and The British Association for Supported Employment (BASE) to help them develop a new quality mark for supported businesses. 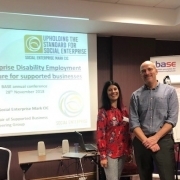 Social Enterprise Mark CIC is delighted to be involved in this development, which will provide assurance to the Department for Work and Pensions (DWP) on the quality of employment outcomes for disabled people. 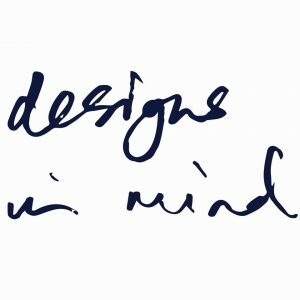 Want to find out more about how Design Thinking can benefit your organisation? Come to our FREE workshop in Bristol to gain a hands-on introduction to Design Thinking for Sustainable Social Enterprises and how it can help you to drive customer centric service innovation and growth within your organisation. The workshop is suitable for social entrepreneurs, startups, social enterprises, charities, business students and NGO’s with a social purpose. This is part of the Social UP project, which aims to use design thinking principles to improve the sustainability, social impact and scalability of social enterprises, to enable them to achieve their societal mission in a financially viable manner. We are also running a free project wrap party on 25th July, where we will provide an overview of the project and key findings, as well as present the online tools that have been produced support and motivate design thinking within social enterprises in order for them to grow, scale–up and prosper. 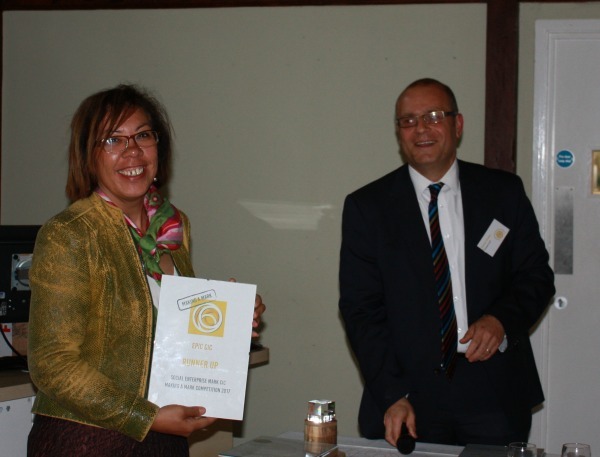 Partners for Possibility (PfP), the flagship programme of Symphonia for South Africa, was named as the winner of the 2018 Social Enterprise Mark CIC ‘Making a Mark’ competition at a celebration at our conference in York on 6th June. We invited former MP Phil Hope to present the award as part of our annual awards ceremony, which was accepted by Louise van Rhyn , founder of Partners for Possibility/Symphonia for South Africa, who also delivered the opening keynote speech at the conference. “It is fantastic for the work of PfP to be recognised in this way. Our innovative programme provides much-needed support and capacity building for school principals who have received little or no preparation for the challenging task of managing a complex organisation with very limited funds amidst crippling social challenges, such as poverty, child-headed households, drug abuse and gangsterism. 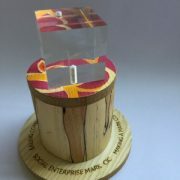 Louise was presented with a special award, created for us by Social Enterprise Mark holder Start Creative *, a social enterprise which provides a range of high quality hand crafted products and services to public, private and social sectors, whilst providing positive commercial experiences to volunteers who are referred via mental health services. 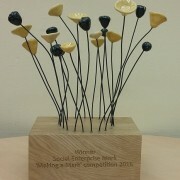 This is the third year of the Making a Mark competition; a celebration of the vast and diverse social benefits created by Social Enterprise Mark holders, which highlights interesting examples of how accredited social enterprises are creating considerable social impact within their local communities and in wider society. Lucy Findlay, Managing Director of Social Enterprise Mark CIC, said, “We are delighted to announce our first African Social Enterprise Mark holder Partners for Possibility as the 2018 ‘Making a Mark’ competition winners. They won because of their clear commitment to tackling a major social need in new innovative ways, by mobilising business, government and civil society to work collaboratively towards addressing the educational challenges facing South Africa. PfP was shortlisted alongside five other organisations, including Cosmic and Ealing Community Transport, which were both named as runners up. 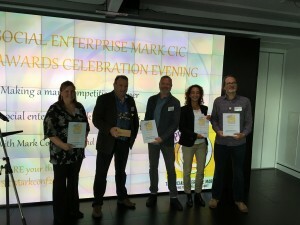 The competition shortlist was subject to a public vote and a separate vote by the Social Enterprise Mark CIC team, both of which accounted for 50% of the final result. *Start Creative is the commercial arm of Start in Salford, which provides positive commercial experiences to volunteers, who are referred via primary and secondary mental health services in Salford. Their volunteers are highly trained individuals at risk of or suffering from mental ill health, all of whom benefit in some way from the creative process that goes into making high quality hand crafted products. Start Creative continually develops in response to the needs of the volunteers that engage in the work to provide a vibrant and supportive working environment and retail opportunities for their work. 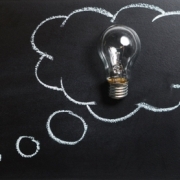 We are currently working with the Department for Work and Pensions (DWP) and the Supported Business Steering Group to develop a new framework to enable supported businesses to prove their credentials when bidding for DWP programmes. 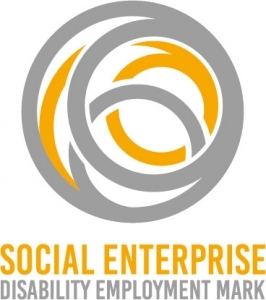 The Social Enterprise Disability Employment Mark (SEDEM) will build on the principles of Disability Confident, to provide assurance to DWP on the quality of employment outcomes for disabled people. Our upcoming conference will provide a perfect opportunity to find out more about the SEDEM. 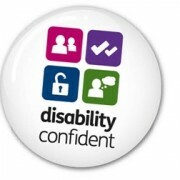 Stephen Lismore from DWP and Martin Davies will be running a workshop on employing people with disabilities, which will look at the Government’s commitment to increasing the levels of disabled people in employment, and how those that facilitate the employment of disabled people could particularly benefit from the new accreditation. Delegates will also have the opportunity to network with the Social Enterprise Mark CIC team, who can answer any questions they may have about the proposed framework. 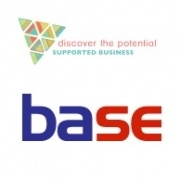 Supported businesses can claim a 25% discount on tickets by quoting BASE_2018 when booking tickets online. We are excited to be launching a new Twitter chat in April, to provide an open platform for social enterprises to connect with each other. During our many years of providing accreditation for the social enterprise sector, we have learnt that one of the things our network values most is opportunities for networking and joint working with like-minded businesses. The #SocEntHour Twitter chat will bring together social enterprises to facilitate discussions and to hopefully generate new opportunities. Our Twitter channel has almost 8.5k followers and reaches over 20,000 people per week. Why not join us at #SocEntHour to connect with a large audience of social enterprises and access opportunities for shared learning and partnerships. We’d love to see you there! We will host the Twitter chat every Wednesday at 3-4pm GMT/BST, via the @SE_Mark channel. 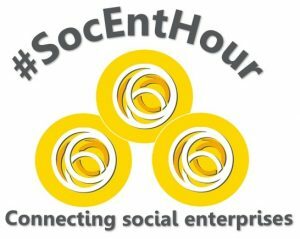 The first #SocEntHour will be on Wednesday 11th April 2018. 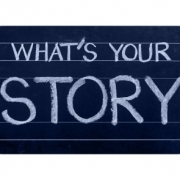 We are keen that the audience will choose what you want to talk about, so this will very much be led by you! To begin with, we will select a broad subject via Twitter poll, based on suggestions from the network – we will announce this in advance each week to allow you to plan your content. We invite you all to get involved and look forward to what we are sure will be interesting discussions. 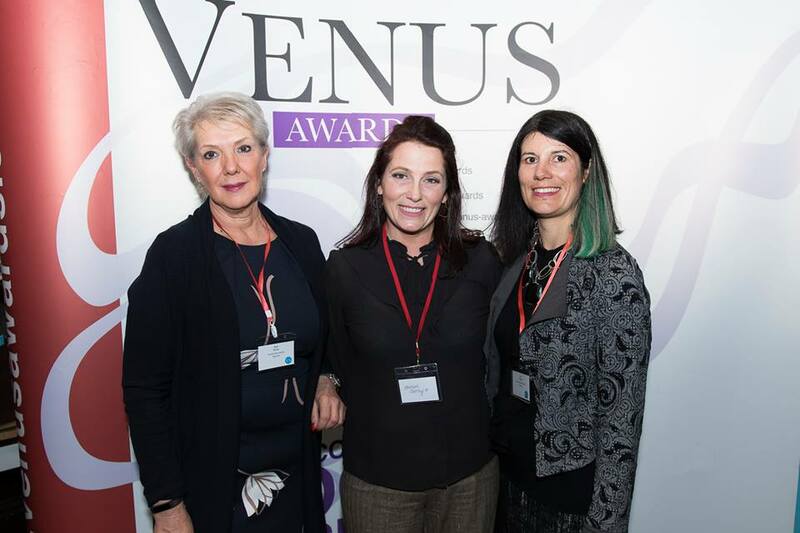 Alexis Bowater, Regional Partner of the Devon and Cornwall Venus Awards 2018 was host to over 100 people at the Treasury in Plymouth earlier this week, welcoming guests that included nominees and sponsors from all corners of the counties, and where the names of those progressing to the semi-final stage were announced. 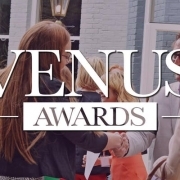 The Venus Awards – dubbed by Channel 4 as “The Working Women’s Oscars” – celebrate the vital contribution that women in business make to the local, regional and national economy, and are unique in that anyone can nominate a friend, client or family member. Our Managing Director Lucy Findlay was delighted to be shortlisted as a semi finalist in two categories; Lifetime Achievement and Networker of the Year. In its fifth consecutive year of the Venus Awards in Devon and with the new addition of Cornwall, the response remains consistently strong with over 1,750 nominations and 500 applications. The successful Semi-Finalists will be invited to the Finalists Announcement on 1st March 2018. 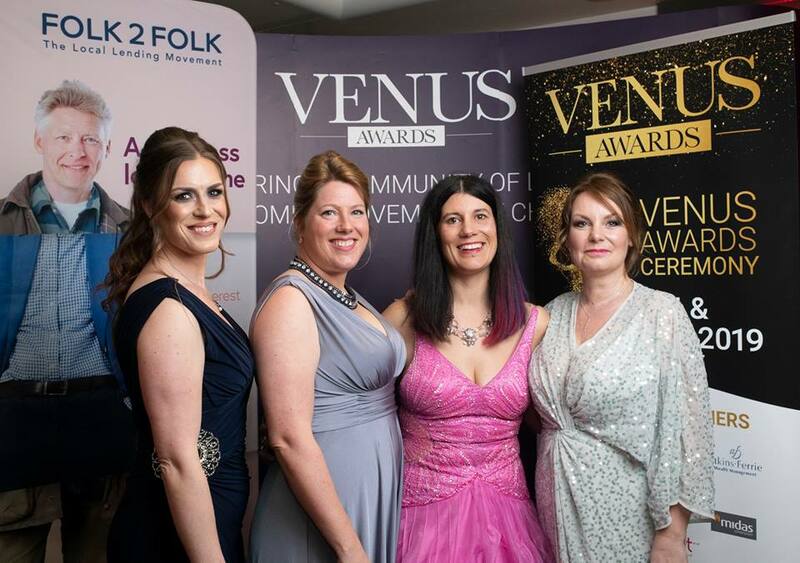 Regional Partner, Alexis Bowater, said of the awards; “I’m absolutely delighted to be taking the Venus Awards into Cornwall this year and increasing the reach of these business awards across the Tamar. It was another fantastic turnout and we are thrilled to congratulate our Nominees and Semi-Finalists. The Devon and Cornwall Venus Awards 2018 in association with Atkins Ferrie Wealth Management and partnership with Alexis Bowater from Bowater Communications will culminate in a glamorous Ceremony and Gala Dinner on the 27th April 2018 at the Crowne Plaza Plymouth. We welcome the increase in UK and London rates announced by the Living Wage Foundation this morning, and commit to paying this real Living Wage – independently calculated to meet the cost of living – to all employees. Living Wage Week 2017 from Living Wage Foundation on Vimeo. We are delighted to welcome Investors in People as a partner in the Beyond the Badge campaign, which aims to make it easier for consumers to identify businesses that are proven to be doing good. Investors in People (IIP) is the Standard for people management. The IIP framework sets out how to lead, support and develop people well for sustainable results. The IIP standard is the sign of a great employer, and an organisation committed to achieving success through realising the potential of its people. 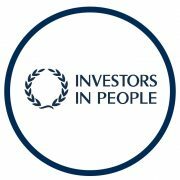 Investors in People (IIP) sets out how to lead, manage and support people well for sustainable results. IIP accreditation is the sign of a great employer and an organisation committed to achieving success through realising the potential of its people. Commenting on the partnership, Paul Devoy, CEO of Investors in People said “We are passionate about backing the #GoBeyondTheBadge campaign because a badge is more than just a stamp. Investors in People signifies a good employer, it represents a workplace where every individual has the opportunity to fulfil their potential. In 2017, IIP was established as a Community Interest Company, and is committed to shaping a working world where employers, employees and the community succeed by understanding the value of investing in people. By working for individuals, employers and the wider community, IIP provides a structure for employers to measure and improve, promoting fair working conditions for individuals whilst also highlighting excellence in people management across communities. IIP joins a group of standard setting bodies that share common values and principles in their approach to accreditation. 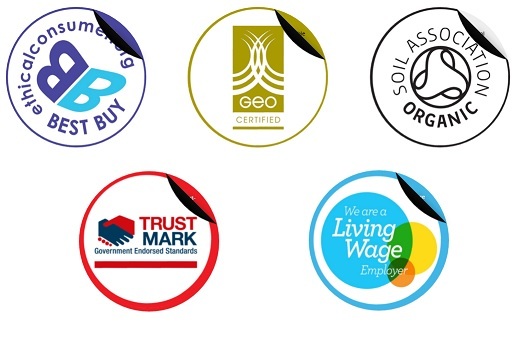 Each organisation is responsible for an independent accreditation/certification scheme, and we are all united by a common focus of setting and overseeing robust, credible and transparent standards for businesses. 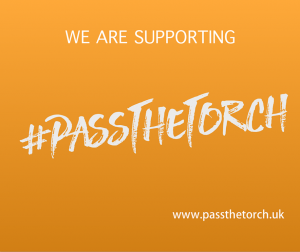 Click here to find out more about our campaign partners. 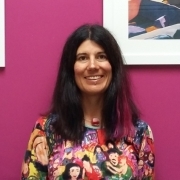 We were delighted to discover last week that Lucy Findlay, Managing Director of Social Enterprise Mark CIC, is included on the inaugural WISE100 (Women in Social Enterprise 100) index, which recognises inspirational women in social enterprise. 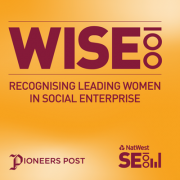 A new initiative from NatWest SE100, the WISE100 was launched at a special event in London last week. The index is the first of its kind, and aims to recognise the invaluable contribution of 100 of the most inspiring and influential women in social enterprise, impact investment and social innovation. 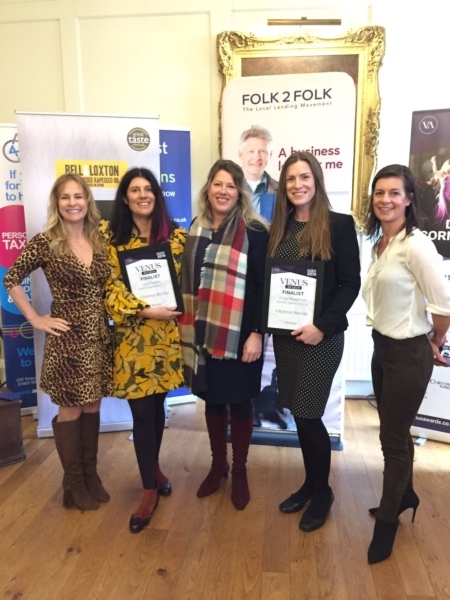 Lucy was also delighted to be joined on the list by female leaders of several Social Enterprise Mark holders, including Julie Hawker from Cosmic, Amy and Ruth Anslow from hiSbe, and Kate Welch from Social Enterprise Acumen. More than 250 women were nominated for the index, with the final list selected by a panel of judges. The full list can be found here. 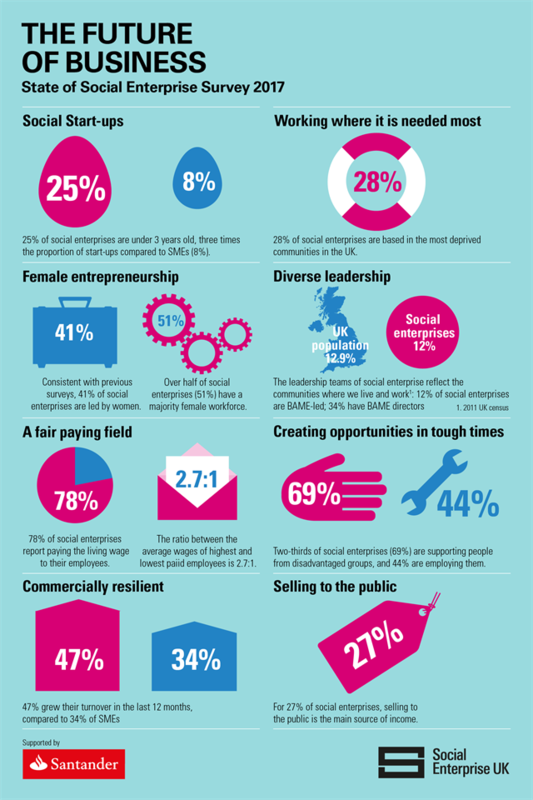 The social sector outperforms other sectors when it comes to gender equality; in the UK, over 40% of social enterprises are led by women, and more than half of all social enterprises have a majority female workforce*. In comparison, just 6% of FTSE100 companies have female leaders. The WISE100 initiative is therefore important because it will help to inspire other sectors to diversify their workforce, bringing benefits not just to women but to business in general. 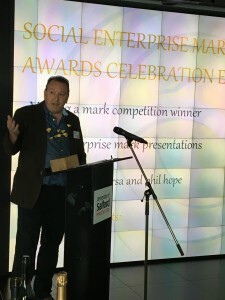 Social Enterprise Mark CIC, the body responsible for the only internationally available social enterprise accreditation, has recently awarded the first Social Enterprise Mark in the African continent, to a Non-Profit Organisation working to secure quality education for all children in South Africa. Symphonia for South Africa (SSA) aims to strengthen the fabric of South African society by mobilising business, government and civil society to work collaboratively towards addressing the educational challenges facing the country. It becomes the sixth organisation outside of the UK to be awarded the Social Enterprise Mark in recognition of a commitment to trading for the benefit of people and planet. SSA joins a growing international network, including global Fairtrade certification body FLOCERT, social enterprise support agency C3 in the United Arab Emirates, and the Fairtrade Network of Asia and Pacific Producers (NAPP). Following a three-fold increase in international applications within 2 years, Social Enterprise Mark CIC has a proven assessment process that can be applied anywhere in the world. In addition, the organisation offers an international consultancy service to advise global counterparts looking to set up similar accreditation schemes for social enterprise within their own countries. Following a consultancy project with the Russian Foundation, Fund our Future, in 2015, which led to development of a Russian Social Enterprise Mark, Social Enterprise Mark CIC completed a similar piece of work for the British Council in China in 2016, advising on the development of a Chinese social enterprise accreditation system. SSA implements programmes that contribute towards social cohesion and large-scale social change in South Africa by providing a structure in which active citizens can meaningfully contribute to improving education for all children. 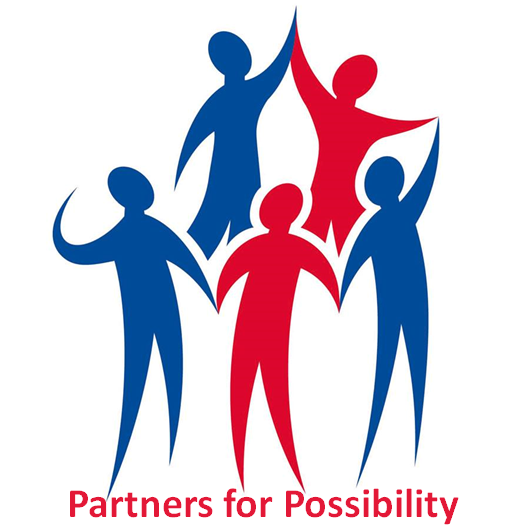 Through flagship project Partners for Possibility (PfP), SSA promotes and facilitates leadership development opportunities for business leaders, school principals and their school management teams. “We are very proud to be joining an international community of accredited social enterprises.” says Louise van Rhyn, founder of SSA. 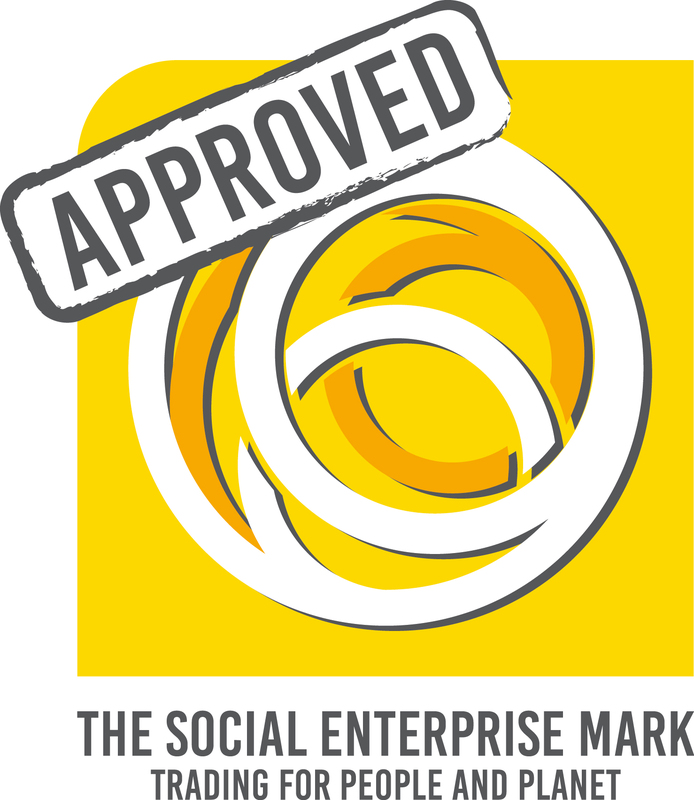 “We were impressed by the robust accreditation process and were thrilled when we received the news that we have been awarded the Social Enterprise Mark – we will forever remember this as a milestone moment in our journey. 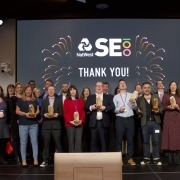 Lucy Findlay, Managing Director of Social Enterprise Mark CIC, added: “We are delighted to welcome SSA to our growing network of international Mark holders. We are particularly excited, as this represents another milestone for us in our international expansion, being the first Social Enterprise Mark to be awarded in the African continent. We have recently renewed the Memorandum of Understanding with The Regulator of Community Interest Companies, symbolising an ongoing commitment to co-operation & collaboration. The agreement enables both parties to exchange information and provide feedback on relevant issues relating to CICs. 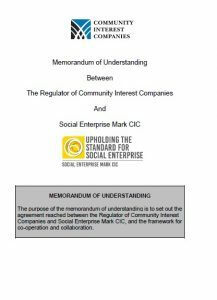 The Office of the Regulator of Community Interest Companies will work alongside Social Enterprise Mark CIC to represent the interests of Community Interest Companies (CICs). 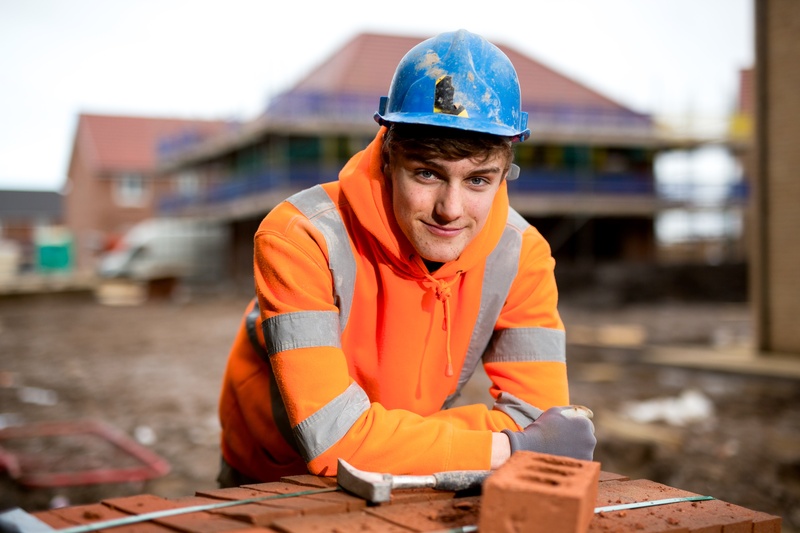 There are now almost 13,500 CICs in the UK, engaged in every sector of the community. A CIC is a company which has been set up to deliver benefit to a stated community and it agrees to be regulated to ensure that it delivers that benefit. CICs are governed by company law and also related CIC legislation, which ensures that they deliver continued benefit to the community. The additional responsibilities include the asset lock which ensures that the assets remain with the company and cannot be asset stripped and the annual community interest company report which is placed on public record. Although there is no single legal structure for social enterprise, the CIC model was specifically designed with social enterprises in mind. It aimed to bridge the gap between standard commercial businesses and charities, recognising that some businesses wanted to provide some benefit to the community through their commercial activities but without the regulation and restrictions which come with being a registered charity. 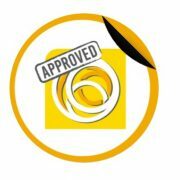 CICs automatically meet most of the criteria covered by the Social Enterprise Mark and over ¼ of the Social Enterprise Mark CIC network of accredited social enterprises are registered as CICs. 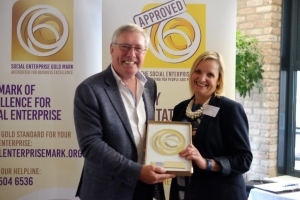 Three UK Higher Education Institutions have become the latest organisations to be awarded the prestigious Social Enterprise Gold Mark, in recognition of their social enterprise excellence. 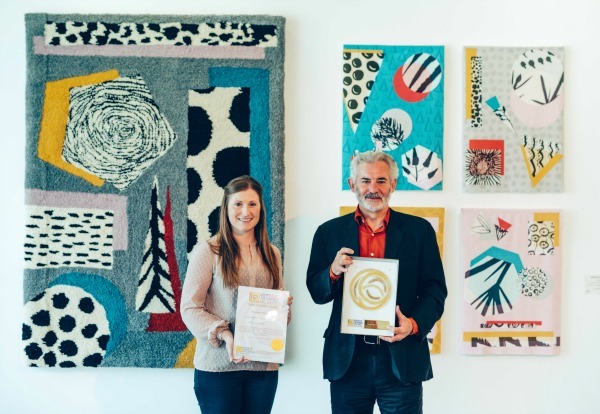 Plymouth College of Art, The University of Northampton and the University of Winchester join a growing network of gold standard social enterprises, which have proven their commitment to creating lasting positive impact on people and planet, through their trading operations. Following a rigorous assessment process, the Social Enterprise Gold Mark awards were presented at our annual conference in Winchester on Monday 5th June. 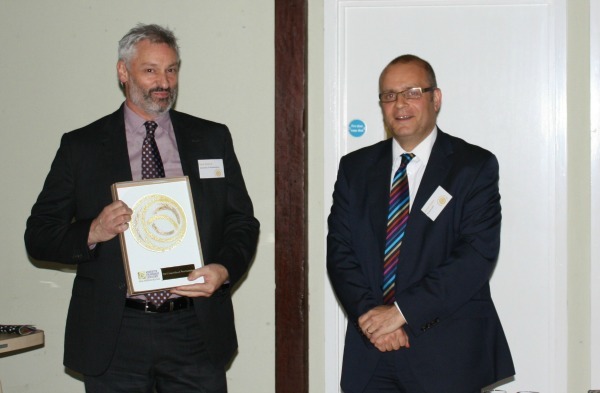 The awards were presented by James Evans, who is a member of the independent Certification Panel, which upholds the rigour of the assessment process and oversees the process of applications and assessments. 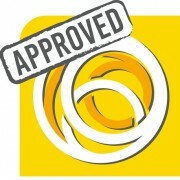 The panel has the final decision on all applications for the Social Enterprise Gold Mark. The accreditation focuses on measuring what makes a social enterprise excellent, and how they can continue to improve their impact. Successful applicants receive an individually tailored action plan for continuous improvement, in line with guidelines of best practice. 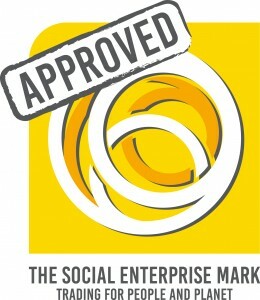 Please click here for more information about the Social Enterprise Gold Mark. 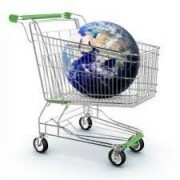 Although it is heartening to see that consumers are increasingly looking at sustainability and ethical issues in their purchasing decisions, as evidenced by a recent international study by Unilever, I do worry about whether they are actually able to make an informed decision. The proliferation of ‘greenwashing’ does mask and make buying decisions more confusing. Greenwashing is the corporate practice of using clever PR and marketing claims to mislead customers into thinking a company and its products are ethical/sustainable/environmentally friendly etc. Sadly, the rise in consumer interest in sustainability and ethics seems to be marked by the rise of this tactic by big corporate brands. This is a smoke screen for their anti-social behaviour, as has been evidenced time and again in the hypocrisy of the banking world. 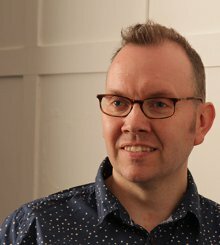 I will never forget, on the passing of the Public Services (Social Value) Act, being lectured about what to do to add social value by a big name High Street bank, whose Chief Executive the week before had been apologising for yet another expose leading to huge fines by the regulator. Another very high profile example is the Volkswagen ‘Dieselgate’ emissions scandal in 2015, where the organisation admitted fitting cars with software designed to give false readings in emissions tests. This served as a public reminder of the need to be vigilant for misleading messages – if a multinational giant that was once considered a leader in sustainability was deliberately deceiving customers, then it poses the question – who else is up to this dodgy practice?? Unfortunately, greenwashing isn’t always easy to spot, especially where there is an existing high level of consumer trust within a brand. Even where there isn’t trust, many consumers take claims at face value and do not question other behaviours of that company – people have short memories! There are so many ethical labels and claims used by brands to entice customers to buy their products, so where to start for consumers when it comes to knowing who they can trust? This is the focus of our latest campaign – Beyond the Badge – which aims to help consumers identify genuine labels and claims, and therefore make more informed choices, rather than taking things at face value. For instance if a product claims to be ‘fairtrade’ – did you realise that it is only certified as such if it displays the FairTrade Mark? We are pleased to have the support of several high-profile partners, including Soil Association Certification and Ethical Consumer, to engage with a wider consumer audience across multiple sectors. 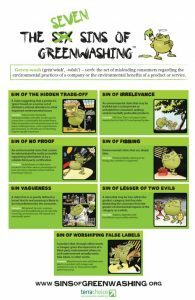 In our research , I was interested to come across the UL Environment ‘Seven sins of greenwashing’, which identifies seven of the most common greenwashing tactics used by big brands. Interestingly, these include ‘the sin of no proof’ – where a claim is not substantiated with any reliable proof – and ‘the sin of worshipping false labels’ – where the impression is given of a third-party endorsement, where no such thing exists. To me, these seem particularly relevant to the markets in which we operate, as from its inception, social enterprise has been plagued with vagueness and moving the goal posts. 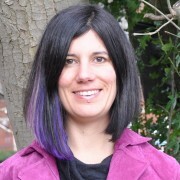 The advent of social impact reporting and social investment have not helped this cause as they do not support the uniqueness of the social enterprise business model – essentially that by putting people and planet before shareholder profit the business is focused on the social/environmental need that it aims to address. It may be hard to prove – but the social outcomes are central, not a by-product. Hence the Social Enterprise Mark – a way of assessing and identifying genuine social enterprises that have a proven commitment to trading for the benefit of people and planet. We want to encourage everyone to consider the potential impact of their purchase decisions, and to think about whether brands that they support are actually living up to their ethical and sustainability claims. I invite you to get involved, by pledging your support to the campaign and spreading the word amongst your own networks, by joining our Thunderclap campaign, which will send an automated social media post out from your account to create a buzz of conversation about the campaign. Many thanks to all Social Enterprise Mark/Gold Mark holders and other stakeholders who took time to participate in our 2016 stakeholder survey. 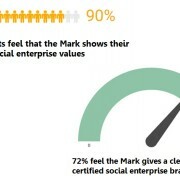 We have now analysed the responses and are pleased to publish our Stakeholder Survey Report, which summarises the impact that Social Enterprise Mark/Gold Mark accreditation currently has for those that hold the Mark, and how we might increase this impact moving forward. The feedback is invaluable in helping us to continue to develop the Social Enterprise Mark and Gold Mark to meet the evolving needs of the growing and diversifying social enterprise sector, and will be used to inform our strategic priorities and future direction. We are excited to be involved in a new EU co-funded project, which aims to improve the sustainability, social impact and scalability of social enterprises, to enable them to achieve their societal mission in a financially viable manner. 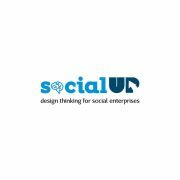 Social UP is an EU co-funded project under the Erasmus+ programme of the European Union, with the aim to cultivate design thinking in social enterprises, well-adapted to their own needs, to support them to scale up their operations. 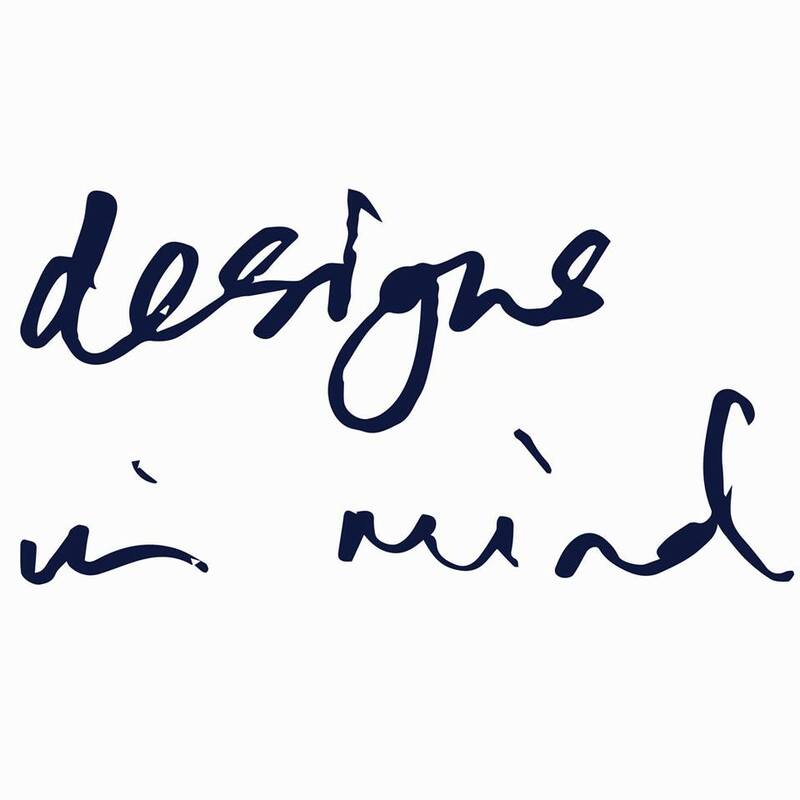 The project will design, develop and implement a design thinking-based training material, providing the necessary knowledge and tools to support and motivate design thinking within social enterprises in order for them to grow, scale–up and prosper. Our main role in the project is to conduct desk research and consultation on the development of the field guide. We will also be hosting an event towards the end of the project in 2018, to present the completed field guide and report on the main findings of the project. 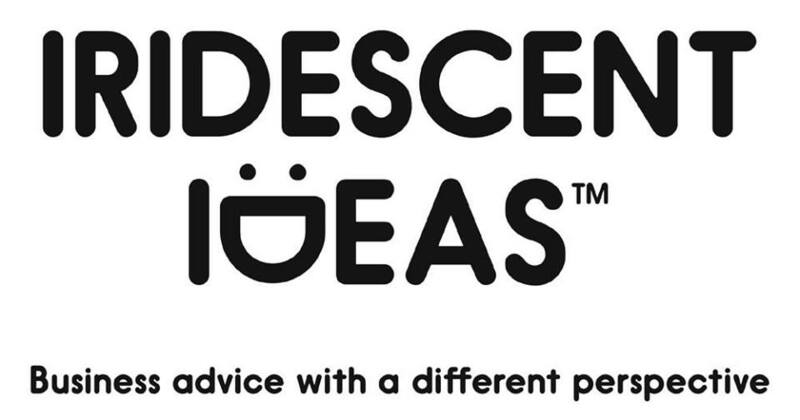 We are working in partnership with design thinking experts, social entrepreneurs, and business advisers from across Europe (UK, Greece, Finland, Spain and Cyprus). 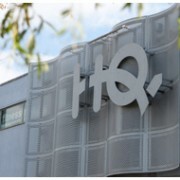 The team has complementary experience and expertise in the fields of design thinking process and training, business education and training, entrepreneurial education and guidance, business consulting and social entrepreneurship, technical development of support tools, combining research with market and technical knowledge. To find out more about the project, please visit the Social UP website. On Thursday 24th November 2016, Social Enterprise Mark CIC will moving into office space at the HQ Business Centre, managed by Social Enterprise Mark holder Millfields Trust. 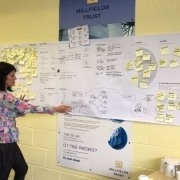 Millfields Trust provides a platform to enable small and medium sized business to grow and develop. The Trust was set up to enable local people to contribute and manage the regeneration of the Stonehouse neighbourhood in Plymouth. They do this by focusing on job creation and the development of business. We are delighted to be joining the business community at Millfields, which includes Mark holder Iridescent Ideas. 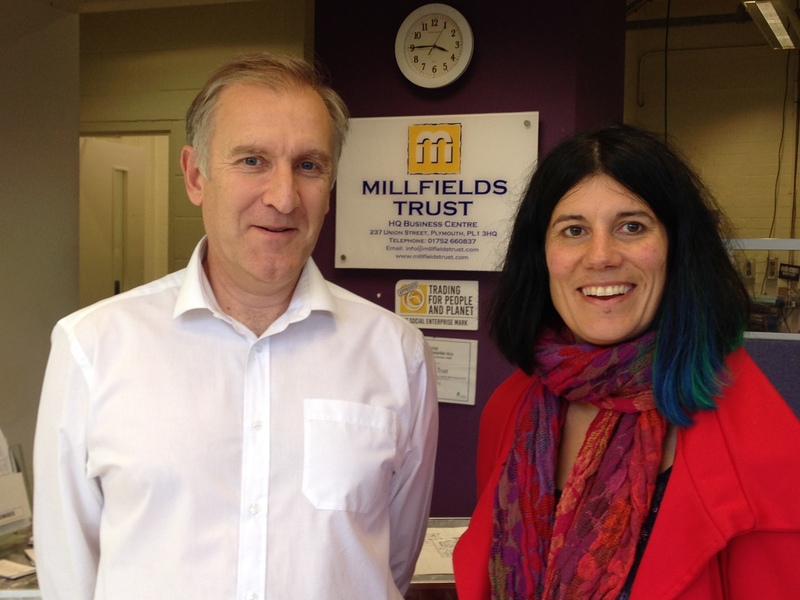 As Lucy Findlay, Managing Director of Social Enterprise Mark CIC explains: “We are really pleased to be moving to the Millfields Trust. Not only are they a long standing Social Enterprise Mark holder, but they are an important hub for social enterprise activity in the city, supporting the regeneration of Stonehouse in Plymouth. The helpline number will remain the same – 0345 504 6536. Please note – we are likely to be unavailable for most of the day on 24th November, but will aim to respond to all calls and emails as soon as we possibly can after this time. Normal operations should commence by Monday 28th November. 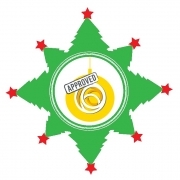 https://www.socialenterprisemark.org.uk/wp-content/uploads/2016/11/HQ-Business-Centre.jpg 190 253 Sophie Short https://www.socialenterprisemark.org.uk/wp-content/uploads/2016/06/sem-logo-new-300x121.jpg Sophie Short2016-11-15 10:37:442016-11-18 10:37:57We are moving! UK consumers, especially the younger generation, would pay more for products/services with a clear social purpose, according to a recent report from communications agency WE. 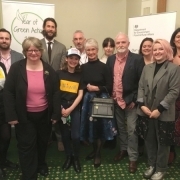 The report, based on a a study of 2,000 UK consumers by YouGov, showed a growing consumer appetite for organisations that demonstrate a social purpose and how they are having a positive impact on society. 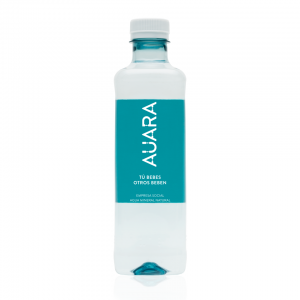 This represents an opportunity for social sector organisations to reach a growing number of ‘socially-minded’ consumers by articulating and communicating their social purpose and the benefits they create for society and the environment. 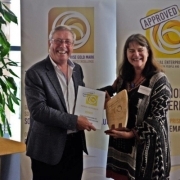 By applying for Social Enterprise Mark accreditation, you can prove the positive impact your business creates, and promote your credentials as an independently guaranteed social enterprise, committed to trading for the good of people and planet. 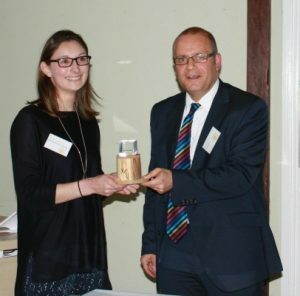 At a special award reception at our annual conference on 8th June 2016, we announced the winner of our Making a Mark competition, celebrating the vast and diverse social benefits created by Social Enterprise Mark holders. The competition highlighted examples of how accredited social enterprises are creating considerable social impact within their local communities and in wider society. Following a public vote and a separate vote by the independent Certification Panel (both accounting for 50% of the final result), we were delighted to announce Dorset-based charity Help & Care as the winner, with Mid-Wales community transport organisation Llanwrtyd Wells Community Transport named as runner up. Mark Cotton FRSA presented the award to Mark Sharman, CEO of Help & Care and presented certificates to Llanwrtyd Wells and finalists Golf Environment Organization and Iridescent Ideas. how clearly organisations have assessed and provided measures of their social outcomes – the actual differences they have made (e.g. the benefits actually realised and reported by people, evident community improvements, levels of progress in addressing social issues etc.). We also gave close consideration to whether Mark Holders have articulated how ongoing income and annual profits have been specifically invested in enhancing social impact, beyond core expenditure necessary to the delivery of their services. In other words, how they have added social value above and beyond their main business expectations – this can include subsidised or free services they have provided, which may have represented potential income generation activity and therefore represent a cost to the business, i.e. pro-bono work. 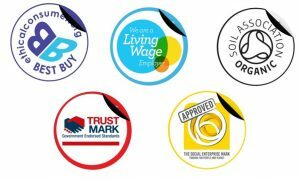 The Living Wage Foundation is pleased to announce that Social Enterprise Mark CIC is now accredited as a Living Wage employer. The Living Wage commitment will see everyone working at Social Enterprise Mark CIC, regardless of whether they are permanent employees or third-party contractors, receive a minimum hourly wage of £8.25. This is significantly higher than the national minimum wage of £6.70 and the new minimum wage premium for over 25s of £7.20 per hour set to be introduced this April. Following the recent departure of a couple of our founding members, Social Enterprise Mark CIC is currently seeking people to join the independent Certification Panel, which oversees the assessment of applications for the Social Enterprise Mark. The Panel’s role is to advise on the interpretation of the Mark criteria, evidence requirements, and other factors that contribute towards a robust assessment process. The Panel Member role is voluntary and we would welcome interest from any Mark holders and supporters who are prepared to lend their time fulfilling this vital function to Social Enterprise Mark (and Gold Mark) certification. The Certification Panel typically meets twice a year, for between 2 – 3 hours, reviewing assessments made by our team across the year and other exceptional matters relevant to the criteria or new applicants who have put themselves forward. Across the course of the year, we may occasionally seek the advice of Panel Members outside of these meetings, usually via e-mail or by telephone. Certification Panel members ideally bring experience of social enterprise but we are also interested in people who have wider expertise of ethical and good business practice. We are particularly interested in people that may have a background in education. Please click here for further details on the role of the Certification Panel and the current members. If you would like further information, or are interested in applying to join the Panel, please contact Richard Cobbett, via email or by calling 07813 151234. 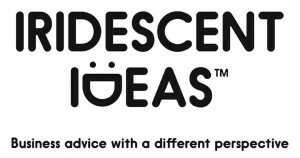 Many thanks to all Social Enterprise Mark holders and other stakeholders that participated in our online survey and follow up telephone interviews earlier this year, conducted on our behalf by Gareth Hart at Iridescent Ideas. The feedback gathered is invaluable in helping us to shape the Social Enterprise Mark for the future, and is now being fully considered as part of our strategy review. A key part of this is clarifying our proposition moving forwards and the key benefits that Social Enterprise Mark accreditation offers Mark holders. We will report in further detail on our actions in response to the findings following our strategy review process. 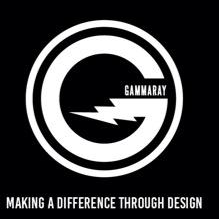 In the meantime, if you have any comments or questions please don’t hesitate to get in touch. 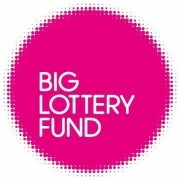 The Heart of the South West LEP is currently conducting a survey of social enterprises across the region, and we encourage all regional Mark Holders to get involved. In order to build a current and accurate picture of social enterprise in the region, the survey is being conducted to establish a baseline of the size, impact, needs and potential of this increasingly significant sector. If you run, or work for, a social enterprise, please click here to respond to the online survey. 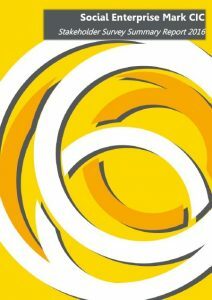 The first national conference celebrating 5 years of the Social Enterprise Mark has been hailed as a great success. 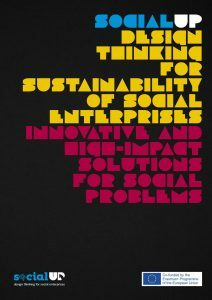 The conference theme, ‘Social Enterprise Making a Difference’, looked to the future for social enterprise. 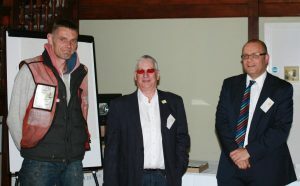 Keynote speaker, The Big Issue’s Nigel Kershaw, spoke about the challenges on the horizon. In particular, he called for Government to be more enterprising and to justify investment in early stage entrepreneurial developments. The conference heard from June Burrough about the Pierian Centre, which was the first Community Interest Company (CIC) to achieve the Social Enterprise Mark. June’s book, ‘The Honesty Pot’, tells the story of the lessons and legacy of this widely-known, Bristol-based CIC. 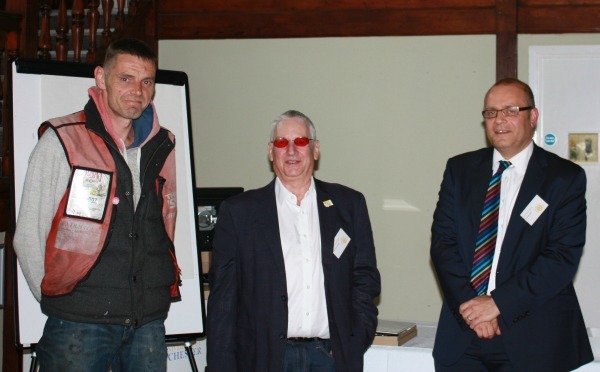 Congratulations were proffered to two new Mark Holders – Charity Bank and Beacon Centre for the Blind. Charity Bank, an ethical bank that uses savings to make loans to charities and social enterprises, announced it has become the only UK bank to be awarded the Social Enterprise Mark. To celebrate, Charity Bank, announced its new partnership with the Social Enterprise Mark, offering a 25% reduction on their standard loan arrangement fee. Beacon Centre for the Blind is a Charity and Social Enterprise making a visible difference for people with visual impairment and sight loss in the West Midlands – operating Social Enterprise transport, catering, conferencing and meeting room hire services, shops and cafes, a print business and dry cleaners, health and social care support services, low vision adaptive aids sales and optometry services. 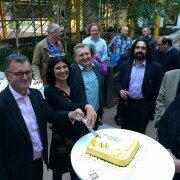 Lucy Findlay (Managing Director) and Ian Middleton (Chair) are pictured above cutting the birthday cake made by Mark Holder Seqol, and was joined by around 70 social enterprises, who enjoyed unique opportunities to network and share their experiences. 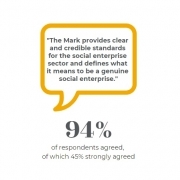 The Social Enterprise Mark Company has commissioned a survey to explore the issue of trust among UK adults. The survey explores attitudes within an individual’s own social circle as well as looking at other aspects of our every day lives like government and business. Results show that two in three adults of the 2,000 surveyed said they had no faith in the government. And the typical adult can claim to have around 15 friends through work, university and childhood – but can only really trust four of them. More than half (54%) of adults surveyed have issues with trust. Adults feel most at risk of being betrayed by a friend, followed by someone they work closely with. The poll revealed adults put most faith in their partner with six in ten voting them as most trust-worthy, followed by their best friend and then a parent. The most common reason a person has felt betrayed was by having their secrets blabbed – as almost four in ten said they’d had this done by someone they considered a friend. And the lack of trust even extended outside the social circle, as two in three adults stated they have no faith in the government. Over half said they find banks to be dishonest, whilst people and brands linked to tax avoidance were also deemed undeserving of trust. Companies trading with consumers are up against a very tough audience as results show an unease with what a company might say and what a consumer might believe. Nearly two thirds of people agree with the statement that a lot of companies pretend to be ethical just to sell more products.